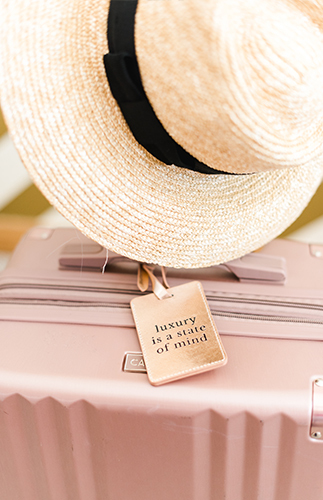 Between weekend getaways, summer vacations, site visits, and trips to and from our remote offices, we like to think we know a thing or to about savvy traveling (insert smirking emoticon here). 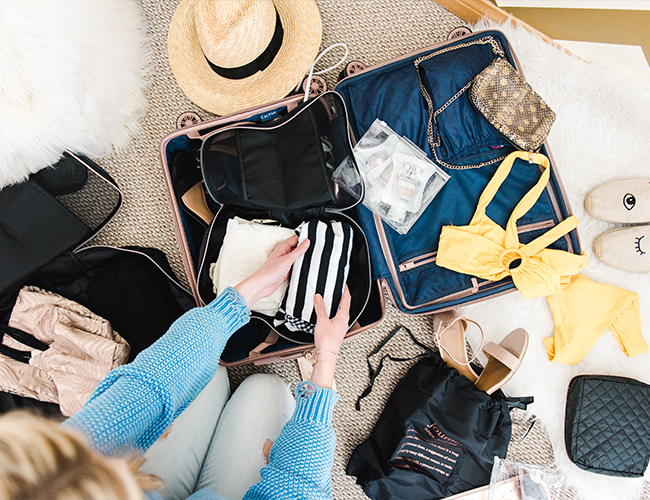 With plenty of things to remember while traveling, squeezing everything into your bag shouldn’t be another worry. 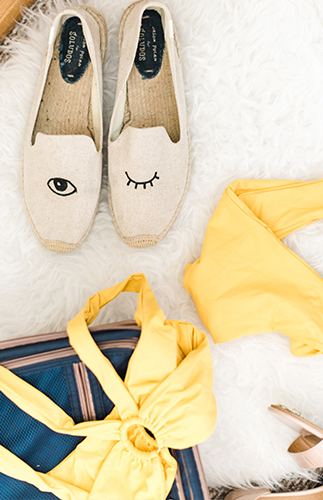 So, anything that makes packing easier and more streamlined gets a gold star in our book. 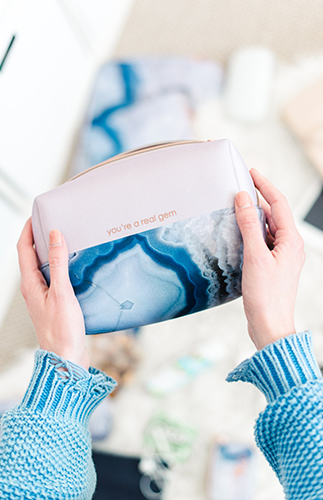 Thanks to some super helpful and very cute accessories from MYTAGALONGS, we’re now pros at packing efficiently, and stylishly :). 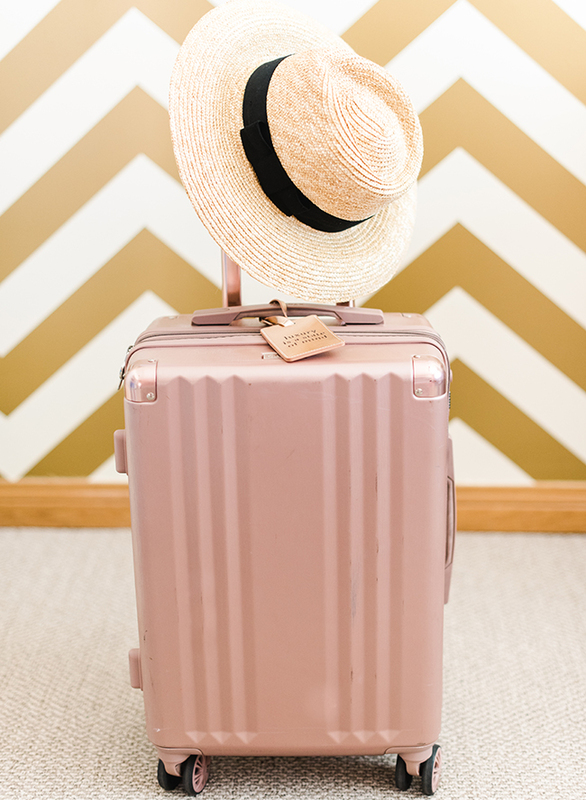 Whether traveling internationally, with kids, or flying solo on a personal retreat, these tips will help you pack everything you need in a carry-on suitcase. We don’t know what we did before these packing pods! 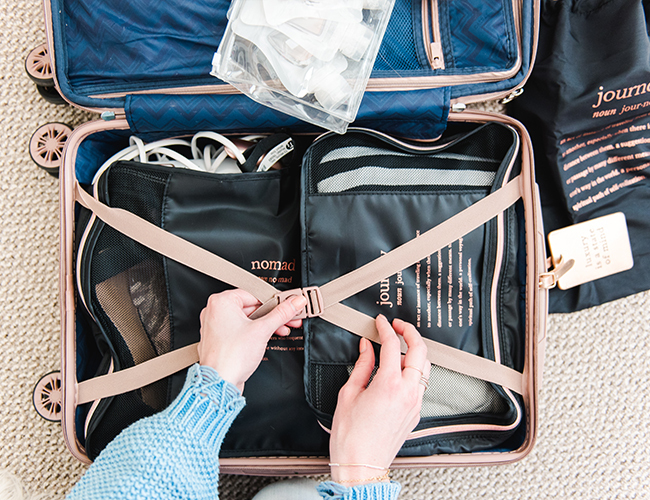 Not only are they great for separating outfits, workout gear, lounge wear, etc., but also are great for keeping everything tight and compact within your suitcase! They’re also washable and made of a breathable mesh fabric, so nothing will feel stale after being cooped up during travel. 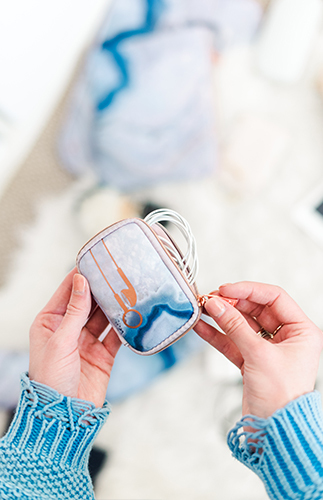 These ones come in 3 sizes which makes Tetris-ing your carry-on a cinch! 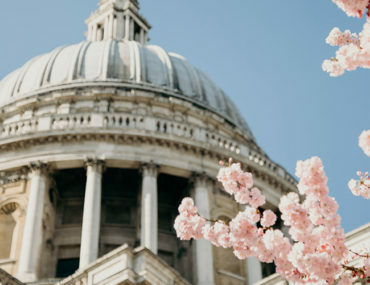 Travel can wreak havoc on not only your luggage but also the pieces you take along. They get wrinkled and scratched and hooked on one another (thank you sequins, embellishments, and other niceties). 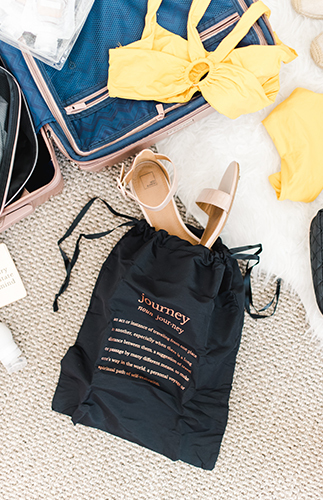 To protect your finer things like evening dresses and shoes you don’t want getting scuffed up, these drawstring bags are essential! 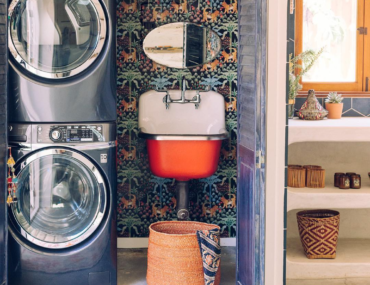 Not only do they protect your clothes and accessories from other harmful clips, clasps, and the like, but they can also be used to separate dirty laundry or wet swimsuits. Why have we never thought of this before!? 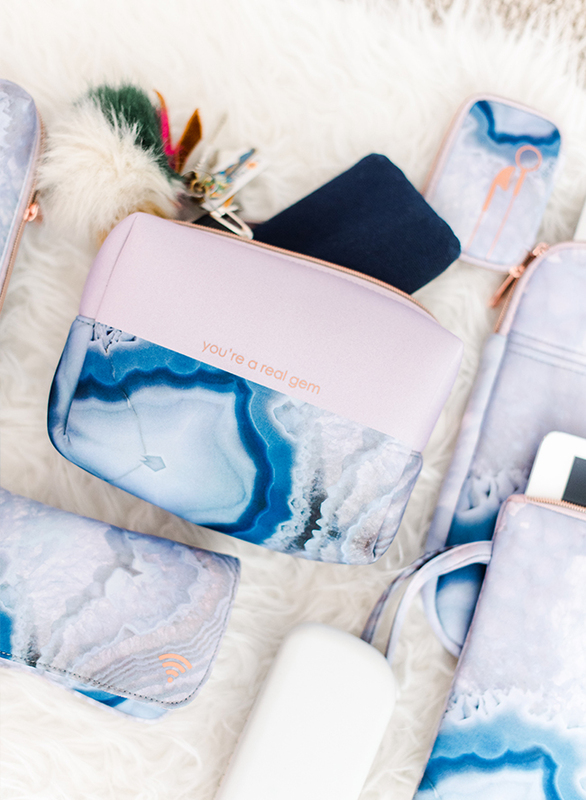 You’ll also want to make sure your pieces are protected from toiletries. 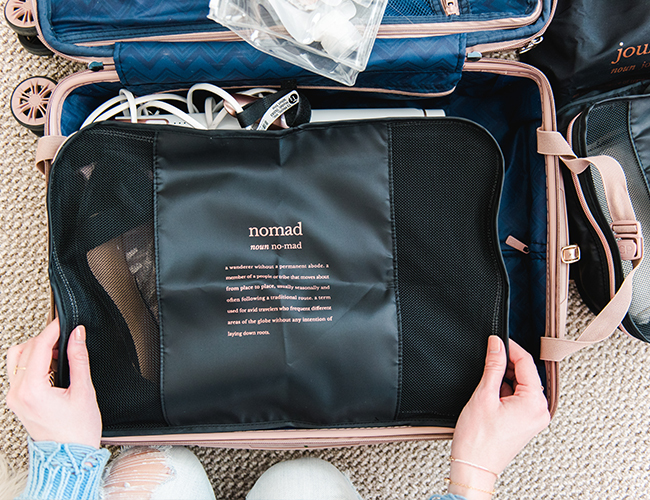 These splash proof cases are great for anything that could spill or leak while traveling. Plus, the fact that they are clear, makes finding what you’re looking for a breeze! 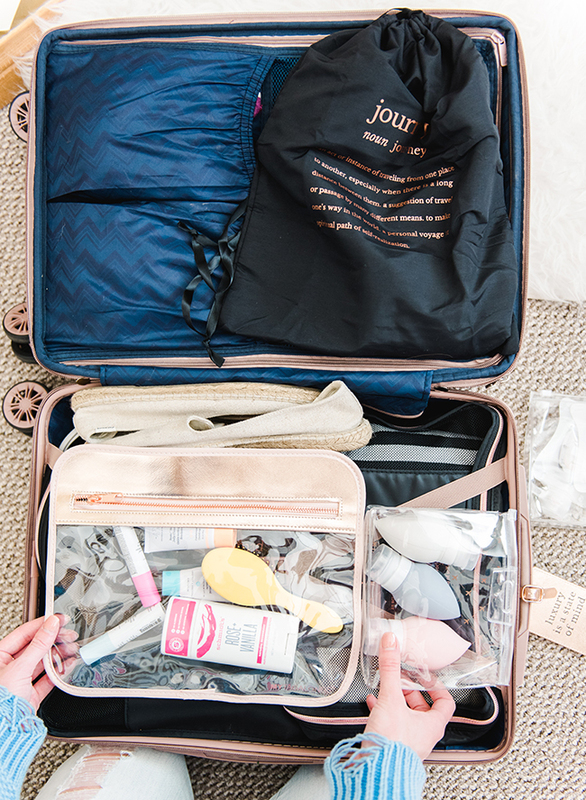 Speaking of toiletries, is it just us, or does your toiletry bag fill up half of your suitcase? 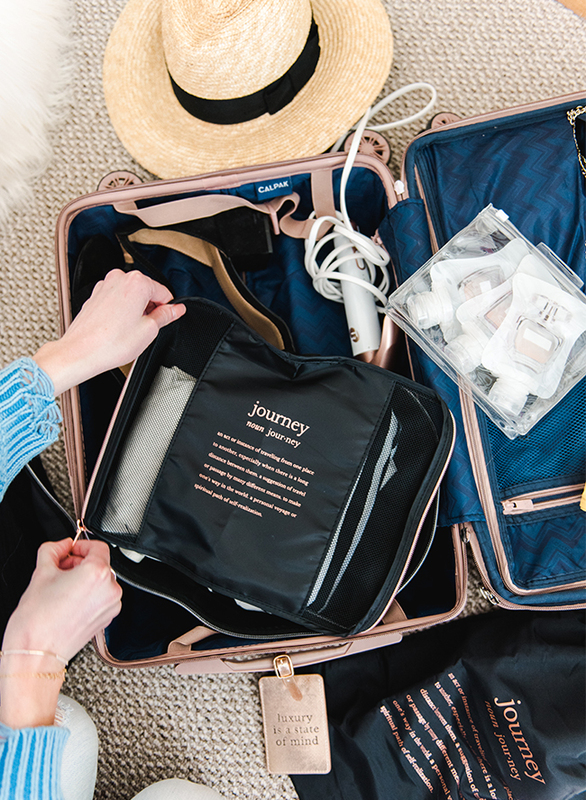 Thanks to morning & nighttime routines, sensitive skin, and precious locks, us women travel with an entire medicine cabinet (not including the meds/supplements). 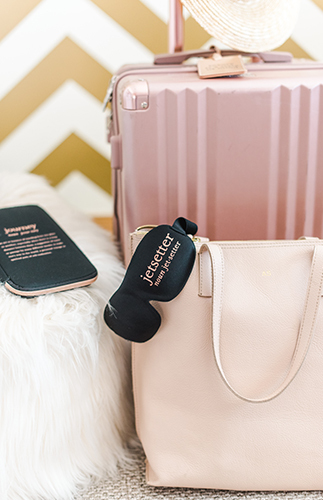 So, one of the best ways to make the most of limited luggage space is transferring those essential toiletries into smaller, reusable bottles, which is why we love these silicone travel bottles. These compact ones (that you can label!) are also great for perfume, oils, or any liquids you need less of. This can lighten the load significantly! 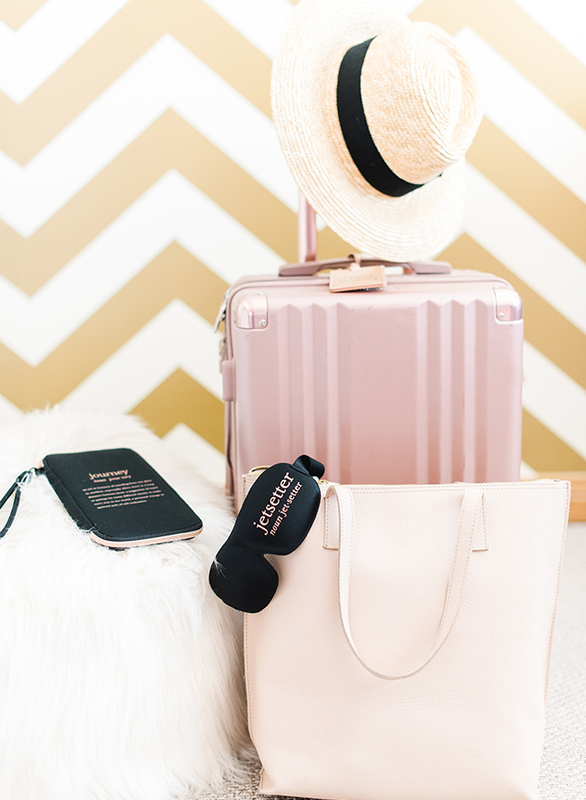 Besides your shampoo spilling all over your suitcase or TSA tossing your favorite perfume, nothing’s worse than frantically searching for and not being able to find your passport/visa/boarding pass when you need it. So, be sure and keep all your important documents easily accessible. We like to do so with a handy dandy travel case like this one. Also, don’t overlook a luggage tag! Even if you are carrying on your bag, a recognizable luggage tag ensures there won’t be a mix-up if you’re forced to gate-check it. 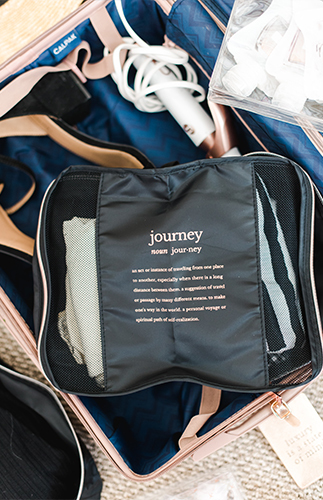 Keeping your carry-on tote organized plays a key role in fitting everything into the suitcase. Anything you’ll need access to, or are worried about breaking, should be with you in your tote. This means tech, airplane snacks, makeup, etc. 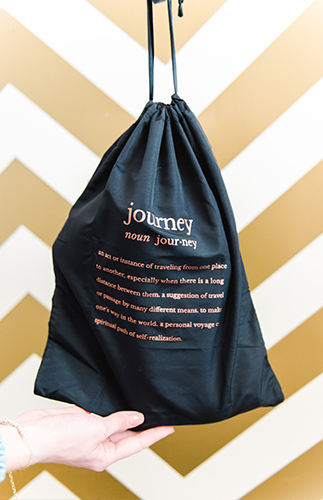 But as we all know, our totes can become a black hole where anything you actually need in the moment is lost in the abyss. So, zipper pouches are essential! 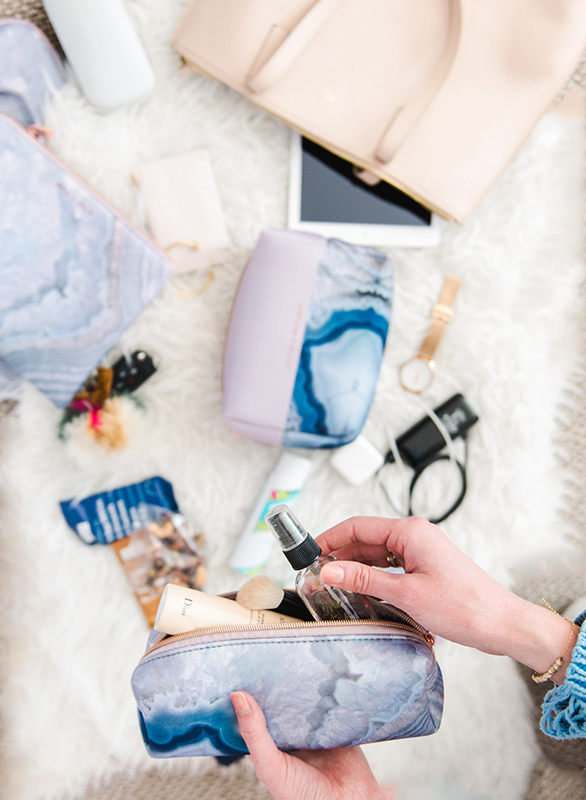 We use this small cosmetic pouch for makeup, this charger case for phone chargers and backup batteries, this ear bud case for, yep, ear buds, and this large cosmetic pouch for anything else! 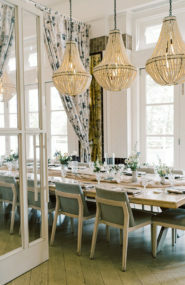 We are obsessed with this Quartz pattern and love it when everything matches! 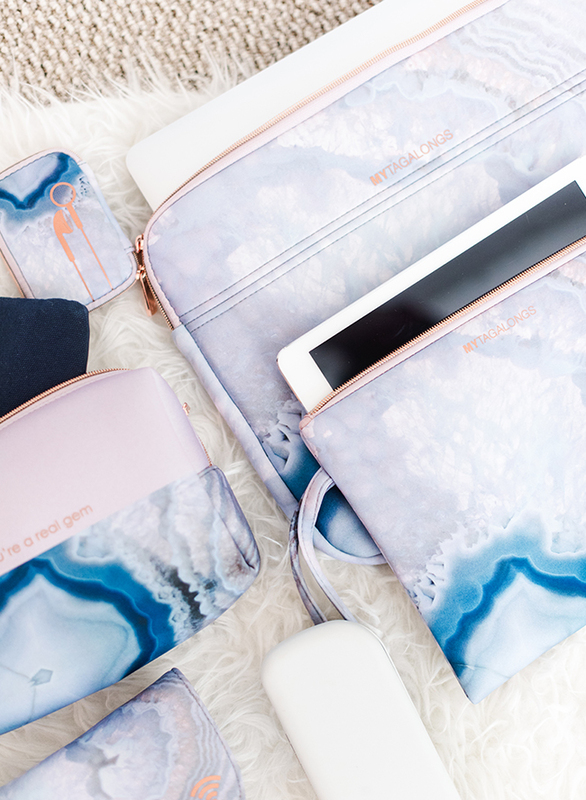 So, we also have the laptop sleeve and Jetsetter pouch for our iPad. 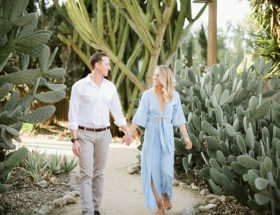 If you’re looking for the perfect accessories to make your summer travels seamless (and stylish) MYTAGALONGS is offering a code just for Inspired by This readers! Use INSPIRED30 for 30% off your order through July 31, 2018! 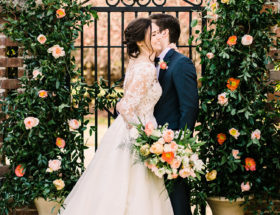 This post is in partnership with MYTAGALONGS. Thanks for supporting the brands that support Inspired by This! These look so legit!! I need these for my next trip! Need all of this for my next big adventure! !